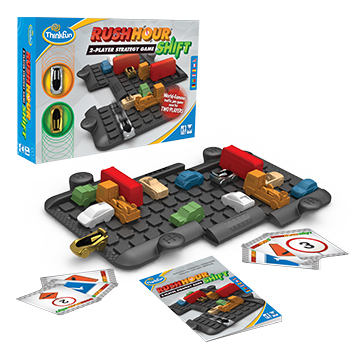 Earlier this year, in March, I posted about a new game from ThinkFun called, “Rush Hour Shift.” Longevity is always part of the criteria for the toys and games that I recommend, and Rush Hour Shift definitely fulfills that requirement. Since I started teaching GT 14 years ago, Rush Hour has been one of the games immediately pulled out during indoor recess times. Designed to be a single-player game the player sets cars up on a grid based on the challenge card he or she is playing. Then, the player uses logic to slide the cars around so that the red car can exit the grid. The only drawback to Rush Hour was that many of my students wanted to play with a partner, which sometimes resulted in squabbles as one person would get increasingly frustrated when the other could not see the “obvious” solution and try to take control. Rush Hour Shift nicely resolves this issue. In this two-player game, what can seem to be a relatively simple challenge can quickly become difficult when the players use the cards they’ve been dealt to change the traffic grid in the blink of an eye. As you may observe in the picture above, the grid is made of three plates that can be “shifted” in order to block your opponent’s car or free your own. When it’s your turn, you must carefully choose a card in your hand to indicate what kind of strategy you intend to use to get your car closer to the end of the board on your opponent’s side. With 10 different game setups, 32 cards, and the unpredictable decisions that can be made at every juncture, the potential for months of game play is obvious. Rush Hour Shift is recommended for ages 8 and up. Children are quick to figure out the rules, and enjoy playing over and over again to try to outwit their opponents as they learn new strategies. Some other ThinkFun games I’ve reviewed in the past are: Gravity Maze, Shell Game, Last Letter, and Robot Turtles. 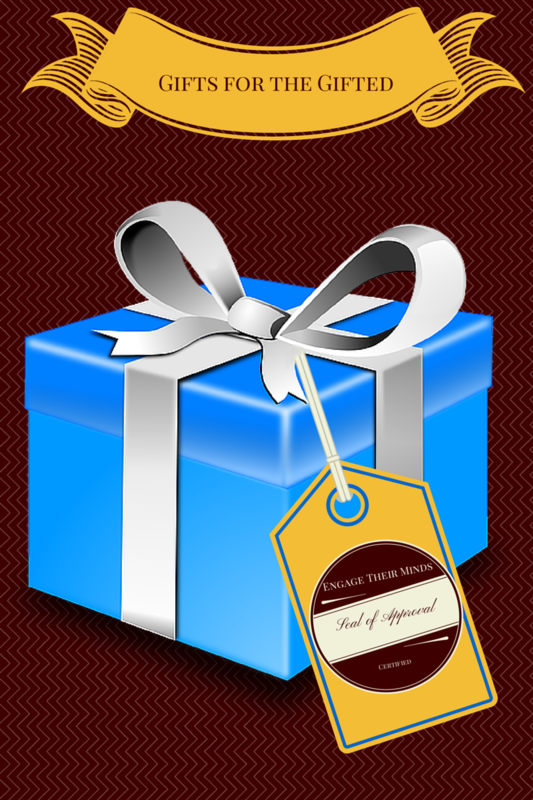 For other recommended gifts for the holiday season, check out this page or my Pinterest Board. Your site is an excellent resource, thank you. You really know your stuff. Checked out your Pinterest but a bit overwhelmed. Can you recommend some good gifts for a bright 4 year old please as many seem to be for older kids? I’m getting the camelot castle Jr for one.